Cute from every angle; almost 100,000 Metropolitans were built. The face of a Royal Enfield motorcycle is its round headlight and the clever "casquette," the binnacle that encloses the headlight, speedometer, amp meter and ignition switch. 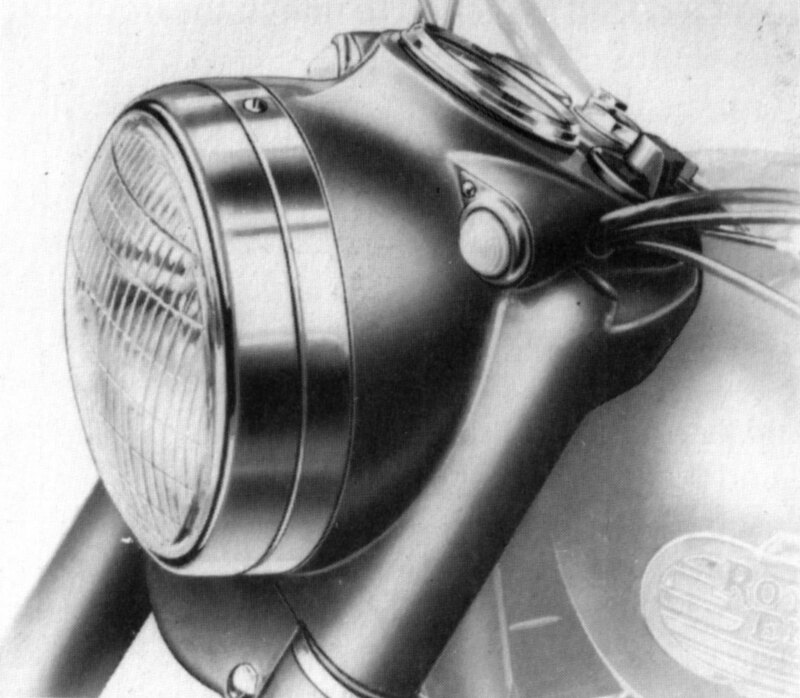 This streamlined nacelle sports the two small pilot lights that have been the most distinctive features of Royal Enfields since the 1950s. Watching for the casquette and its pilot lights is the easiest way to identify a Royal Enfield in a photograph. 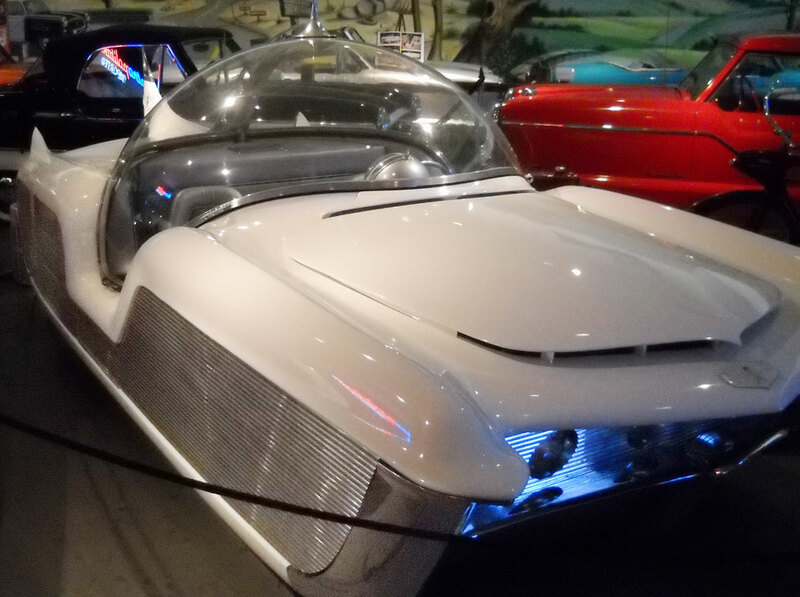 The smooth, round casquette comes from the era of streamlining that gave us Volkswagen Beetles and the bathtub 1949 Mercury James Dean drove in "Rebel Without a Cause." But the added whimsy of its pilot lights reminds me more of another car, the Metropolitan. 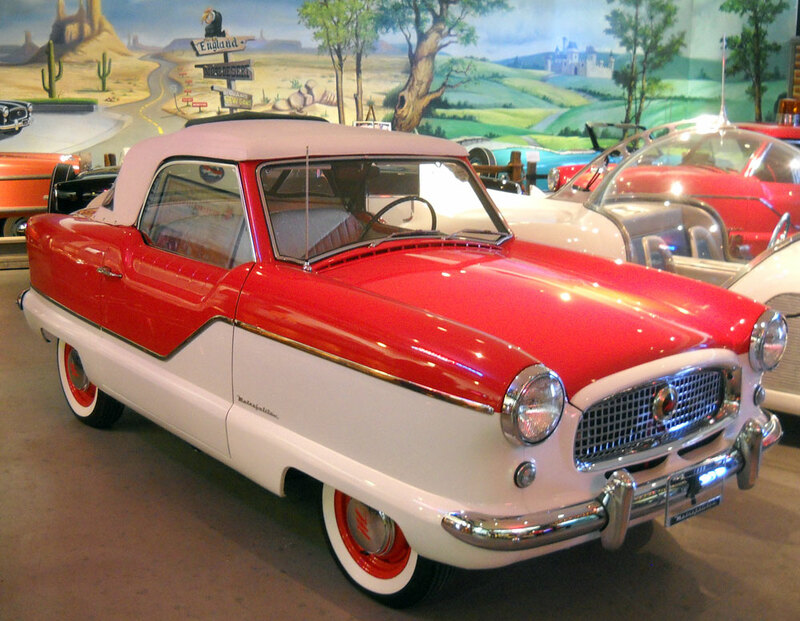 Built in Britain, sold in the United States from 1954-'62, its styling was inspired by Pininfarina's designs for larger Nash cars — but he refused to let his name be associated with the Metropolitan. Despite its lack of pedigree, its snug interior, underpowered Austin motor and American-style (too soft) suspension, the Metropolitan was the champion of cuteness. From every angle every line and every detail looks lovable. You don't want to drive it. You want to hug it. My brother-in-law, Andy Crone, mentioned recently that he would be bidding on a phone project at The Metropolitan Pit Stop in North Hollywood, Calif. I asked if my dad, Lefty Blasco, and I could come along. The Metropolitan Pit Stop in North Hollywood, Calif. is a museum. 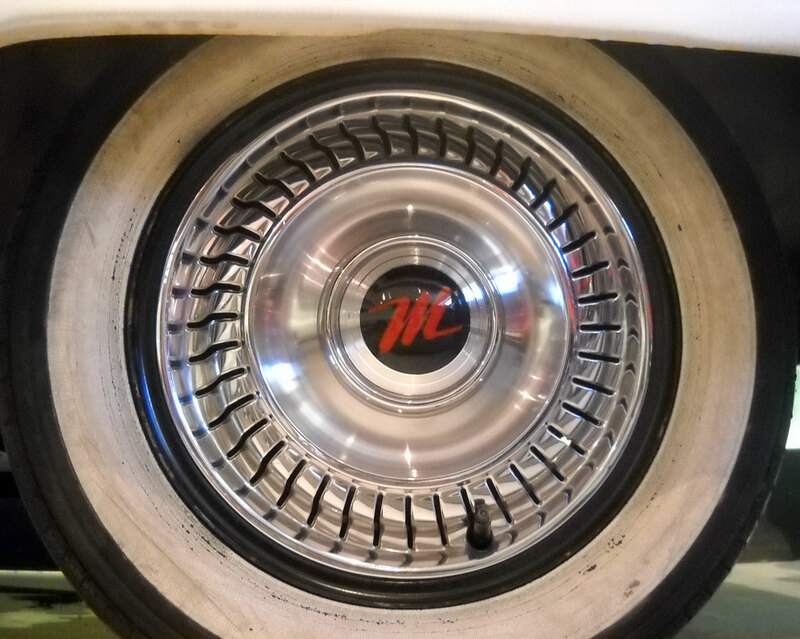 Since 1975, The Metropolitan Pit Stop has honored the memory of the little car, while doing restorations and selling parts. It was started by music studio owner Jimmy Valentine and his wife Eve. It's the old story: they finally bought the Metropolitan they'd always wanted only to find it was hard to get parts. 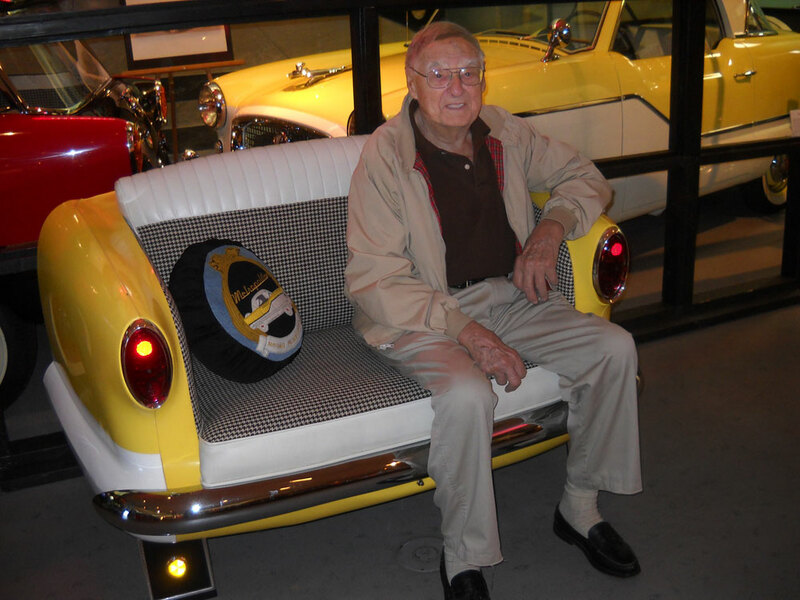 Jimmy wrote to American Motors dealers offering to purchase leftover parts, and started a mail-order list to sell what he didn't need. 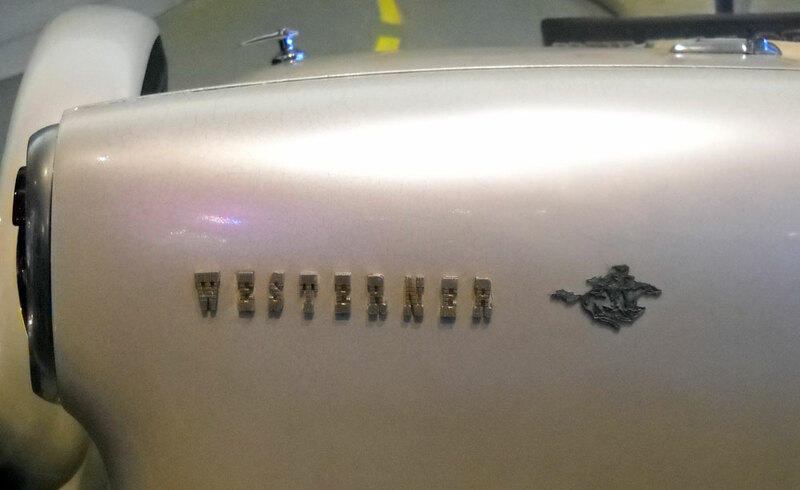 Tail light bezels were the hardest things to find — these deteriorated on nearly every Metropolitan. The original manufacturer agreed to make more if Jimmy would buy the whole run: 5,000 of them. Suddenly, he was in business, do-or-die. Manufacture of more parts followed. 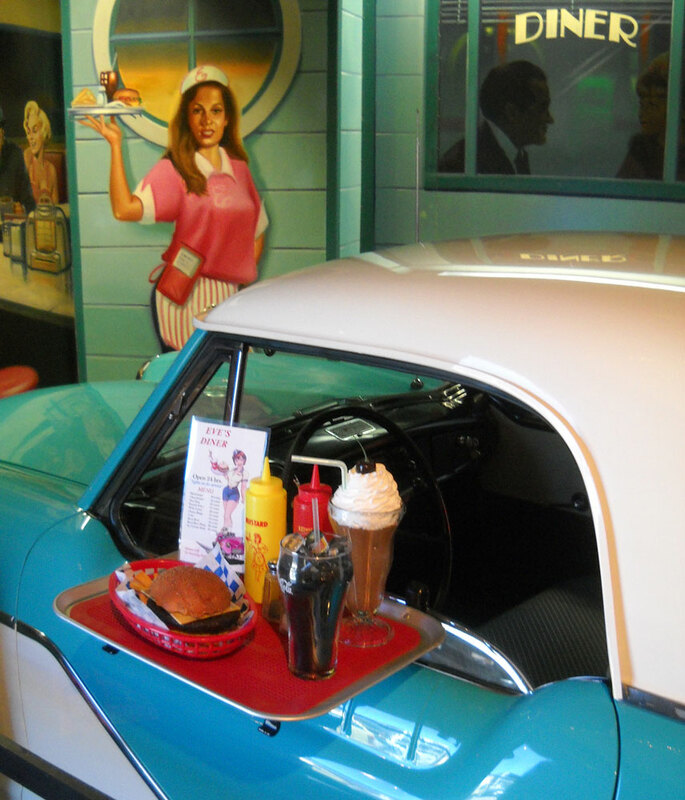 1961 with burger and fries is all original with only 18,000 miles. 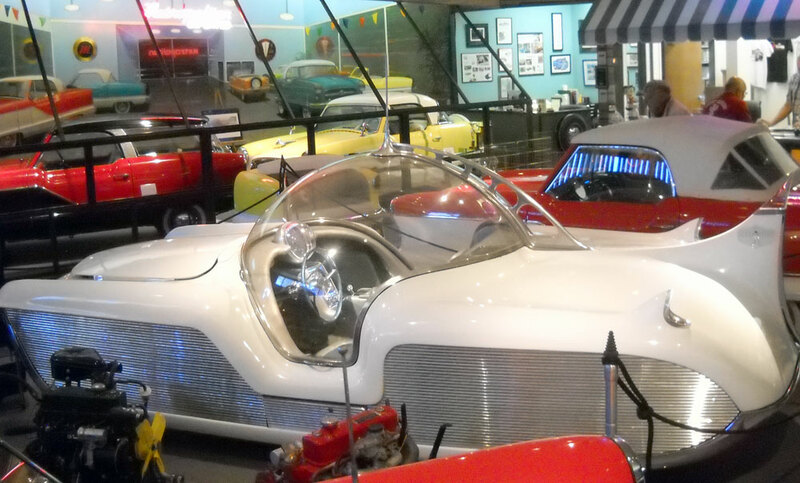 The Pit Stop's "showroom" is actually a museum of beautiful and rare Metropolitans. 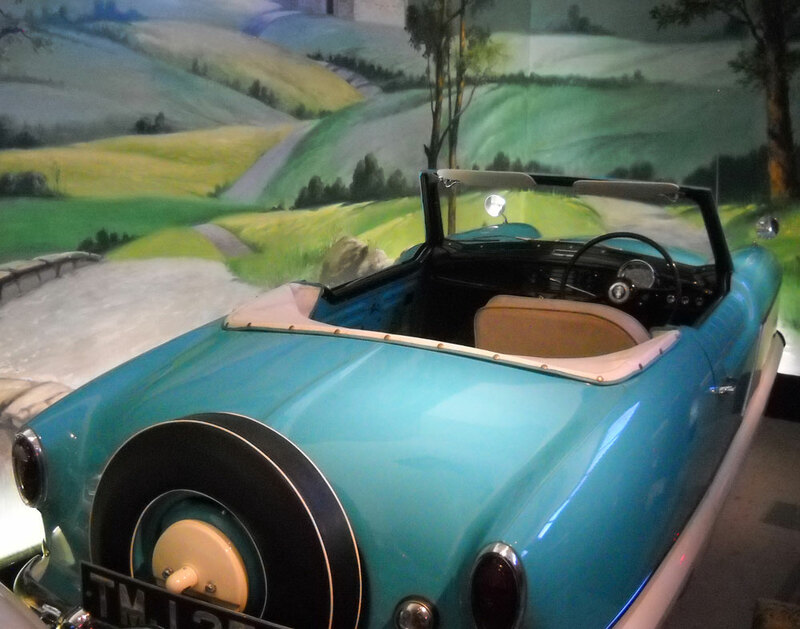 The cars are set in dioramas that evoke the era. I'll stop writing now, so you can enjoy the pictures. You can visit The Metropolitan Pit Stop at 5324 Laurel Canyon Blvd., North Hollywood, Calif. Phone is 818-769-1515. 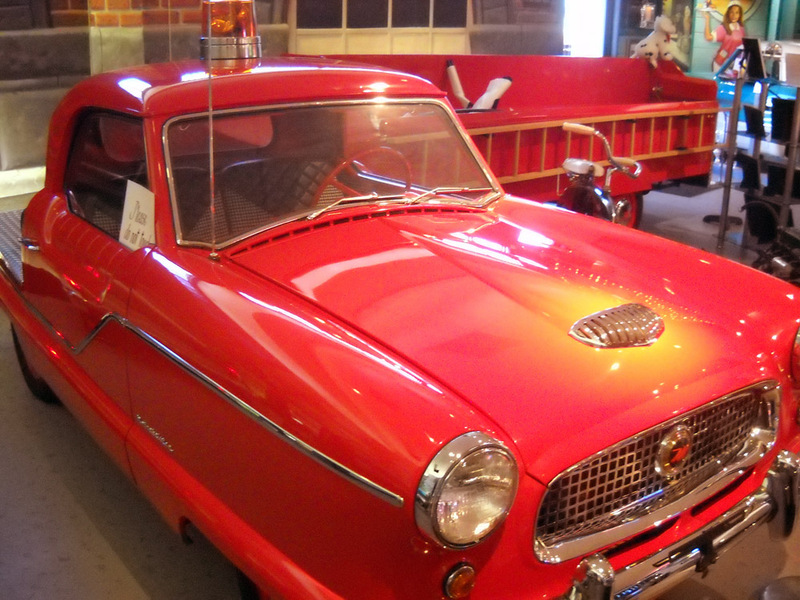 1957 hook-and-ladder fire truck was actually a kiddie ride at a petting zoo. Built by Austin in England, Metropolitans were sold there too, with right-hand drive. 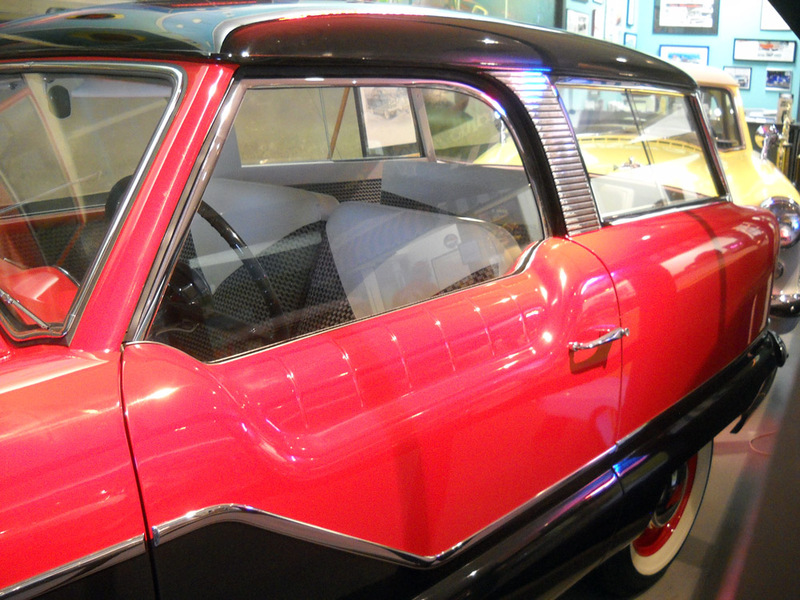 1956 station wagon was only a prototype; it was roomier and the tailgate worked. 1961 Westerner show car had saddle leather upholstery. Rare for a Metropolitan, Westerner had slotted full wheel covers. Astra-Gnome show car had all-aluminum body, Metropolitan chassis. Astra-Gnome had no doors; bubble canopy lifted for access. 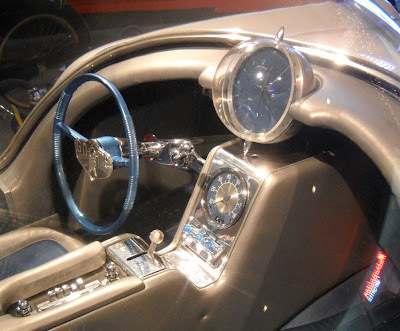 Centerpiece of interior is celestial clock embedded with diamonds. 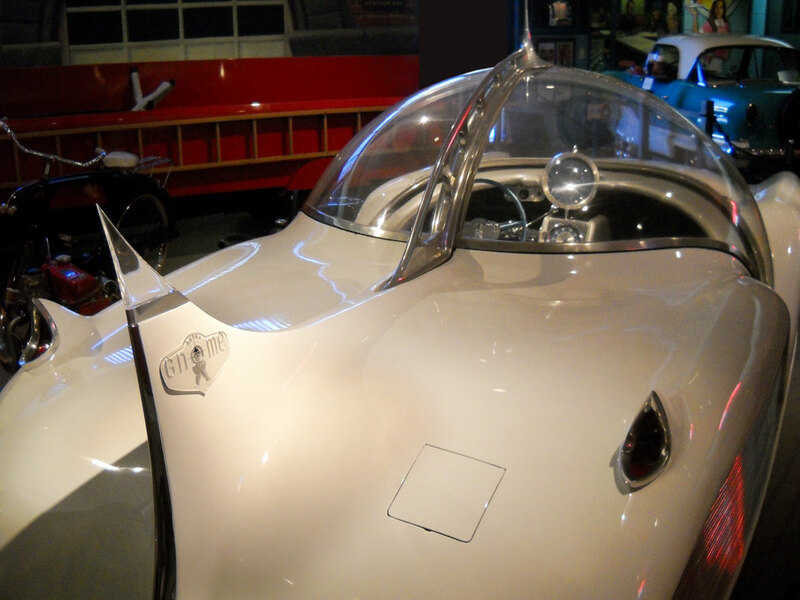 Astra-Gnome was featured on the cover of Newsweek as a car of the future. Just the couch for a small apartment. My dad finds it OK for a short break. We will get to see this all over again in the compact electric car era..
that's the "goodnews" part of it.